We are thankful to the donors and funders listed below for their contributions to further the vision and goals of ASAP. The National Cancer Institute (NCI) is the federal government's principal agency for cancer research and training. NCI is part of the National Insitutes of Health, one of the eleven agencies that comprise the Department of Health and Human Services (DHHS). The NCI coordinates the National Cancer Program, which conducts and supports research, training, health information dissemination, and other programs with respect to the cause, diagnosis, prevention, and treatment of cancer, rehabilitation from cancer, and the continuing care of cancer patients and the families of cancer patients. The National Cancer Institute (NCI) established the Center for Global Health (CGH) in 2011 to help reduce the global burden of cancer. CGH develops inititatives and collaborates with other NCI divisions, NCI-designated cancer centers, and countries to support cancer control planning build capacity, and support cancer research and cancer research networks in low- and middle-income countries (LMICs). 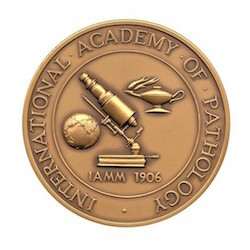 The British Division of the International Academy of Pathology is dedicated to the advancement of pathology through educational exchanges worldwide. Collectively, they provide a forum for the presentation and discussion of advances in the understanding of pathologic processes and for the presentation and critical evaluation of scientific, technological, and methodological advances. Their goal, and a fundamental role of the IAP, is to provide access to the vast store of valid, currently authenticated, and trusted knowledge for questioning minds. ASAP uses PayPal to securely and safely accept donations, please use the button below to contribute to our cause. We sincerely appreciate your support. Thank you!